1.We accept customized according to you requirements 2.We can produce 5-19mm tempered glass 3.After sales service 4. If there is a quality problem we will solve in time 5.Welcome you visite our factory We can supply. Since the founding of the date of the"fine,sincere,solid,stable hard-working spirit"of the legislation works,continuously innovate,to build china's first-class furniture brand. In the community and the general customer support and care,we will be more increase efforts to first-class quality and best service to meet the full needs of customers lie at the root seeking to exceed customer expectations. 2. More than 15 professional designers draw for you. But we can also make the different sizes to meet your exact requirements. Q:11. Can you give warranty of your products9 A:Yes, our warranty is 3 years, we are proud of our quality and service ourselves.
) and the cutting production technology from row material to finish the manufactured by ourselves. 2 )We have our own meticulous Quality Control System and professional Quality Inspector. All the products's quality can be controlled when they are producing. Our products are strictly in accordance with international inspection standards. Equipment high class Oven to make sure the material is on the right way to make the product. Quality each products we need to passed four times quality control before the packing. Qumun is willing to work with customers from all over the world to create brilliant furniture together. 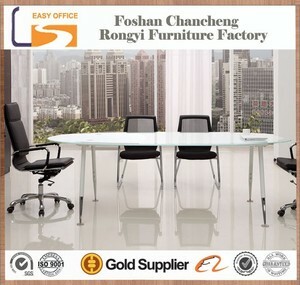 Qumun is willing to work with customers from all over the world to create brilliant furniture together. Moisture All materials to be suitable for use in tropical & high humidity areas. Production process Q: What &rsquo; s your warranty for your products9 A: 1 years Warranty . Q: What &rsquo; s the delivery time 9 A: 10 days for sample ; 30 days for 40HQ container. Q: What &rsquo; s the payment terms 9 A:T/T : 30% deposit by T/T in advance, the balance by T/T before shipment. 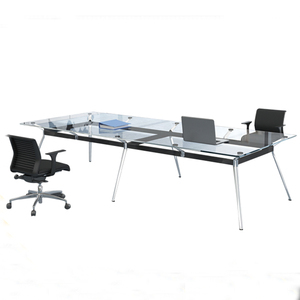 14 YRS Hangzhou Mingyu Furniture Co., Ltd.
, with ISO Certification and two factorie s,founded in 2000 and located in Guangzhou, is a specialized manufacturer and exporter of school furniture and office furniture . Certification Flyfashion regards the quality as the basis and pays attention to detail and innovation, with advanced production equipment, professional technology and an experienced supervisor team. 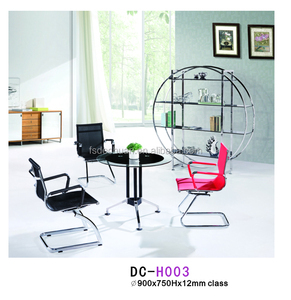 2.What is your main product9 School furniture and office furniture 3.Do you have any certification9 Yes,we have ISO9001,ISO14001,CE,ROHS and SGS. 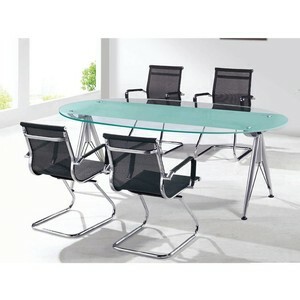 Alibaba.com offers 1,940 glass conference table products. About 20% of these are conference tables, 10% are dining tables, and 6% are office desks. 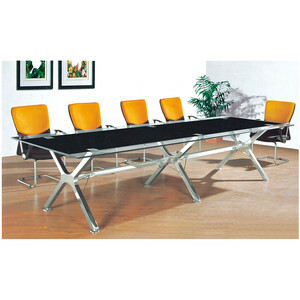 A wide variety of glass conference table options are available to you, such as glass, metal, and wood. You can also choose from free samples. 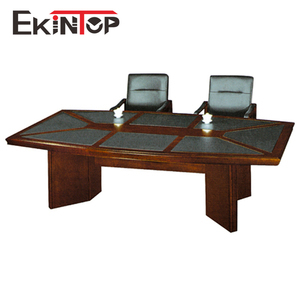 There are 1,940 glass conference table suppliers, mainly located in Asia. 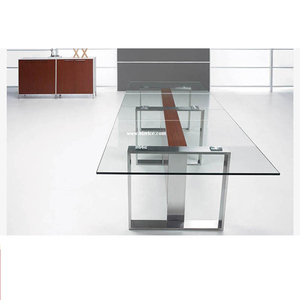 The top supplying country is China (Mainland), which supply 100% of glass conference table respectively. 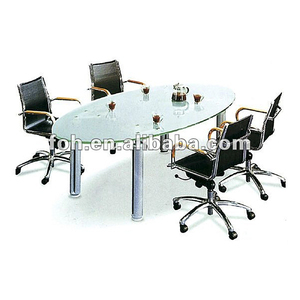 Glass conference table products are most popular in Domestic Market, South Asia, and Mid East. You can ensure product safety by selecting from certified suppliers, including 788 with ISO9001, 598 with Other, and 557 with ISO14001 certification.